When a person dies, it is a very difficult time for family members who, on top of their bereavement suddenly find themselves having to deal with the administration of their loved ones estate. We specialise in dealing with the administration of deceased persons estates of all sizes and complexity on behalf of the Executors where there is a Will or Administrators where the deceased did not have a Will. We will look at both the technical complexities and the practical considerations of each case such as securing the house and assets, arranging valuations of the property or personal belongings and in some cases arrange the funeral. We are here to provide support, help and guidance, and to assist you at each stage of the Probate process. If you are involved in a dispute you need support from an experienced professional who can examine the facts, analyse the evidence and discuss the potential outcomes of the dispute with you so that you can decide how you would like it resolved. You need expert advice and clear information about costs so that you can decide how to proceed. At Start Point Law we can advise you about the many different options available to resolve disputes including alternative dispute resolution such as mediation, negotiation and the use of pre-action protocols. Sometimes, there is no choice but to pursue court proceedings, and we are experienced with litigation and will guide you through the court process. If proceedings have been issued against you, we will help you prepare your defence. We are here to assist you with all your lifetime planning needs from a properly drawn up Will, to setting up and administering your Lasting Power of Attorney, mitigating your Inheritance Tax liability and setting up and administering lifetime Trusts. A properly drawn up Will can save your loved ones a great deal of emotional distress and expense at what is already a very difficult time. A Will can also achieve significant Inheritance Tax savings and prevent possible disputes in the future if drawn up correctly. We can prepare and register a Lasting Power of Attorney for you so you can appoint someone to act on your behalf when you are unable to look after your own property and financial affairs or make decisions about your healthcare needs. At Start Point Law we want to move away from the old traditions and offer a forward thinking, professional and affordable legal service. We offer you the choice of whether to pay a fixed fee or for time spent on your matter. Our charges will never be charged based on a percentages of the value of the estate. Wherever possible we will agree a fixed fee for all our services. We will listen to you, understand what your needs are, set out what is required and give you a quote as soon as possible, so you know exactly what you will pay without fear of hidden extras. You will always deal with the same fully qualified professional. We use plain English and we are friendly, approachable and caring. We will update you regularly but you are welcome to call us whenever you have a question or need some advice without fear of spiralling costs. When I first met Beccy in the Kingsbridge Library she gave me a simple perspective on our seemingly complex issues and her ease with helping me to understand the way forward helped on many different levels, especially knowing that she was available should we need further legal direction. It is a very different solicitor client experience at Start Point law and I feel that I am valued as a person as well as being a client. I am impressed with the time that both Beccy and Rebecca give to the free legal clinics and to the charitable work that they do. It has an effect far beyond what can be seen on the surface. I am very happy to recommend Start Point Law to other people should the opportunity arise. I was introduced to Beccy by a friend, who is an Independent Financial Adviser, to help with advice regarding Power Of Attorney and IHT planning after my father had a stroke. Beccy has supported myself, my brother and my late mother in a range of matters since then and has helped to save us a substantial amount in tax through her knowledge and experience. I have even saved further money as, when Beccy pointed out that our previous wills were poorly drawn up, this was raised with the previous solicitor and they refunded their fee, even though it was 6 years ago! 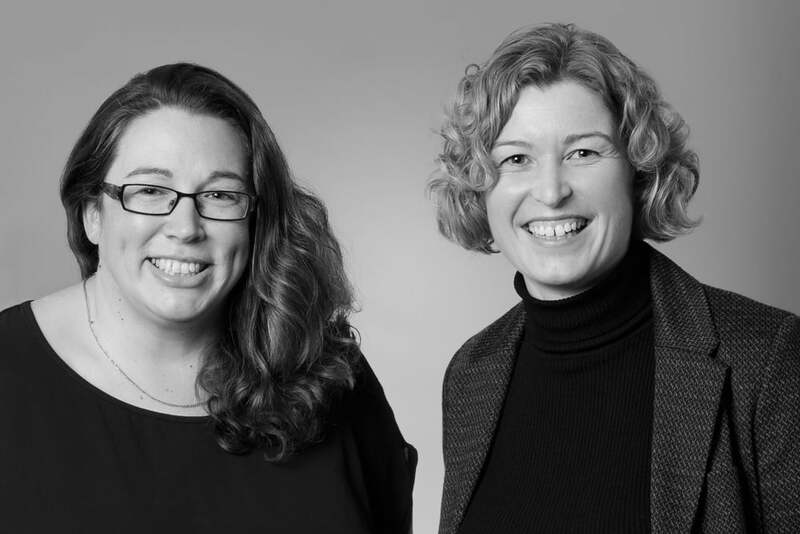 It is not, however, just the expertise that has led me to recommend Start Point Law to a number of people but the friendly and approachable manner of both Beccy and Rebecca whenever you call, meet or text. I would happily continue to recommend Start Point Law to anyone in need of their expertise in the future and certainly will be using them myself." Beccy is knowledgeable, friendly and easy to deal with and he would happily recommend your services.